Two years ago, the internet went gaga for a facial reconstruction of “Ava,” an early Bronze Age woman buried in the Scottish Highlands more than 4,000 years ago. Ava, an abbreviation of Achavanich, the area where she was originally discovered in 1987 in a rare rock-cut tomb in the county of Caithness, was originally presented with a mane of red waves and blue eyes. 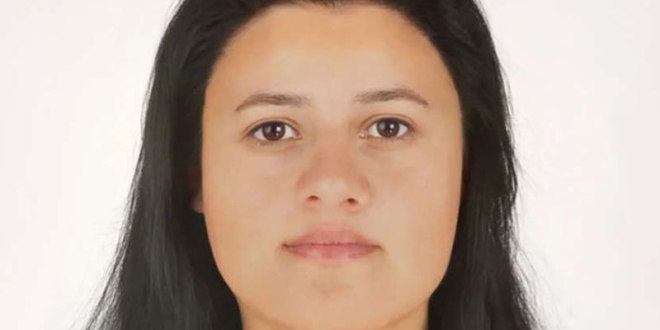 But Steven McKenzie at the BBC reports that the team behind Ava’s first coming out have issued a retraction of sorts in the form of an updated facial reconstruction—new DNA analysis shows that Ava had straight black hair, brown eyes and that her family were relatively recent migrants to Great Britain when she died. Since the initial discovery, researchers have learned what they could about the 18- to 25-year-old woman. She had a 5-foot-5 frame and may have belonged to the Bell Beaker Culture, a group that lived in central and western Europe during the time period and migrated to Britain, introducing metal working and mixing with local farming cultures. 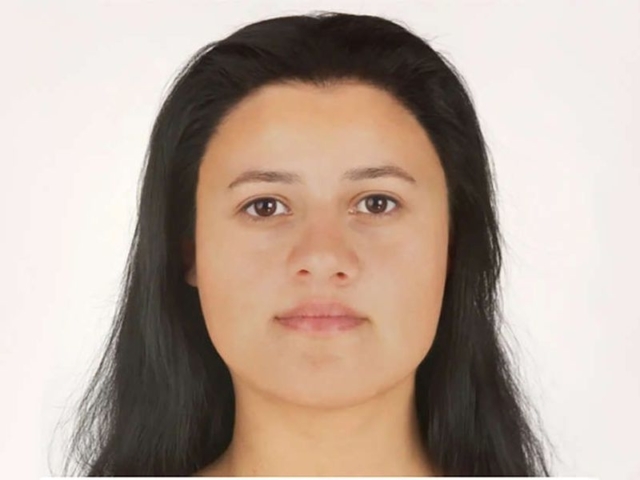 In 2016, archaeologist Maya Hoole commissioned a forensic artist to conduct the original facial reconstruction of Ava, using her skull and teeth as a basis for the face and using artistic license to guess the hair and eye color. DNA data collected by the Natural History Museum in London and Harvard Medical School for a new study now allows us to know Ava had a more Mediterranean complexion, and was lactose intolerant. Shan Ross at The Scotsman reports that the DNA suggests Ava’s parents or grandparents emigrated to Britain from the Netherlands in the decades before her birth. It also pushed her timeline back, from about 3,700 years ago to 4,250 years. The information is detailed in The Proceedings of the Society of Antiquaries of Scotland. Ava’s genetic ancestry may tell us something about the migration of the Beaker people to Britain, who after making it to the island, replaced about 90 percent of the British gene pool over the course of a few hundred years. “Our previous work looking at ancient DNA from hundreds of prehistoric British skeletons had already established that there was an influential movement of people from mainland Europe around 2500 B.C. which transformed the local population and their cultures,” study co-author Tom Booth of the Natural History Museum London says in a statement, as Jack Guy at CNN reports. Booth adds that Ava also serves as a powerful avatar of what was happening, bestowing a “sense of humanity to a story which can often appear as an abstract mass of bones, genes and artifacts,” as he puts it. One big question about Ava is why she was buried in such a nice tomb. Most burials from the time are graves dug in the dirt with a stone cairn stacked on top. Ava’s tomb would have taken considerably more effort to cut from the rock. There are no clear indications that she was of a higher social caste. But there’s a possibility her family may have been involved in herding since her grave included a cow bone in addition to a drinking vessel that accompanies most Beaker Culture burials. Previously, Hoole suggested that Ava may have died of a long or lingering illness, which could have given her family time to prepare a more elaborate burial plot.